Torchcontainer: What is the Truth about the Illuminati? "Ascension Research Center does not guarantee the accuracy of any content on this site or on any external sites linked to us. The Word of the Ascended Masters is the ultimate Authority in any question relating to Truth." "Illuminati" means "Enlightened Ones" and had originally referred to those individuals who devoted themselves to Divine Wisdom and Christ Illumination, such as the Ascended Masters and the unascended members of the Great Brotherhood of Light (also called the Great White Brotherhood). Such individuals have accepted as the Directing Intelligence for their Life experiences the Illumining Presence of the Mighty "I AM". In many of the Theosophical writings of the 19th century, the term was used in its purest and original definition. However, in today's common parlance, "Illuminati" is usually used to connote the "psuedo-Illuminati". "Psuedo-Illuminati" have often infiltrated major global banks, multinational companies, drug companies, global media, armament companies, the world market in hard drugs, the security services and institutions of governments. They are allied with the "Black Brotherhood" which is composed of the forces of greed and every force of tyranny. This would include the evil terrorist activities, operations, networks and funding of foreign terrorist organizations based in Africa, the Middle East, and central and southeast Asia. This may also include Al-Qa'ida, which participated in the attack on America and Freedom on September 11, 2001. Al-Qa'ida has an operational reach that stretches around the globe, and has been extremely successful at maintaining a high level of security and secrecy. Yet Al-Qa'ida as an umbrella organization, is but one group within a network of radical Islamic groups that stretches from Cairo to Manila, from Kabul to Algiers. Terrorist groups and operatives are based in Europe, Africa, Asia, and America. The Illuminati want a world government and army, a world currency and centralised global financial dictatorship and control. They want micro-chipped people and a society based on constant surveillance of all kinds at all times. And they want a frightened, docile, subservient, people who give their power away to the “authorities” who can save them from what they have been manipulated to fear. The establishment of a one-world government has been called the "New World Order" and now "Global Governance". Of course in the drive to control all the people and resources on the planet, they also enrich themselves along the way. 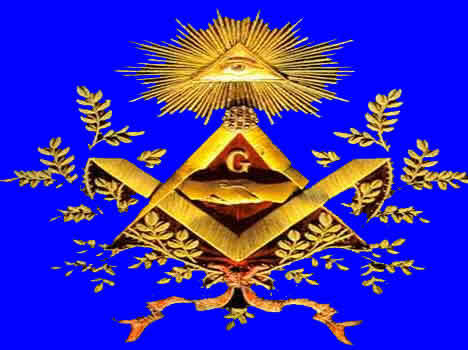 Weishaupt joined the Freemasons in 1777, and soon many of the Illuminati followed, infiltrating the Freemasonry Lodges. They quickly rose to positions of seniority.